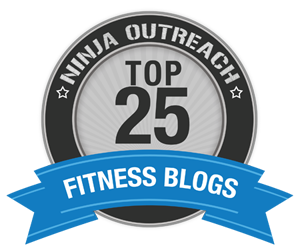 About the program: As members watched Steve help clients transform their body for bikini, figure or physique competitions, people began to express a desire to learn how to lean out even if they didn’t want to compete. BAM! BCx Bikini Camp and BCx Shred Camp was born. These programs were specifically designed to melt fat and sculpt muscle with a similar structure to Steve’s personal training program he offered competitors. This program has been responsible for all our best transformations and is the program both Steve and Tasha did together to put them on the fast track to success. After being flooded with questions, we realized we needed to share our program with people outside our gym. So, even if you can’t train with Steve – or even if you don’t have access to a gym, you can still get amazing results with the educational tools we offer in this program. We kept the information as simple as possible, so it could be easy to read and apply. The program includes the following. 1. Get Pfit Handbook: This is the same workbook we provide all our BCx Boot Campers, which has all the educational tools for diet, exercise and the emotional struggles that go along with losing weight. In this book, is also a bonus 6-day workout program. We encourage you to read the workbook first. Once you complete your workbook, you will be ready to apply the information and put the program to the test! 2. Pfat To Pfit Workout Program: You will get two 4-day workout programs modeled after the current program we run at our club. Both these programs come with links to video instruction for each exercise. One uses weights for those who have access to gym equipment. The other program is a 4-day bodyweight program you can do anywhere. Both programs are based on the exact same format as our BCx Bikini Camp and BCx Shred Camp programs we run at our gym, Max Fitness Club. You can choose either one or use them both. 3. Meal Plan: In addition to providing information on how to determine calories and macro nutrients in our workbook, we provide a 7-day sample meal plan to help you learn how to structure your eating. This is the same sample meal plan we give our boot campers and clients. The meal plan is a cutting program for losing fat and is given to clients who don’t know where to start. Ideally, you want to use it as a template as you learn to apply the principles in our workbook and build your own meal plans, eventually being completely free of a set diet plan. We always say “we don’t diet, we just eat smart” – and as you learn more, you will begin to eat smarter and smarter too! 4. Bonus Material: In this packet you will receive video footage of our actual Boot Camp diet workshop, Q&A with Steve about Fit To Fat To Fit, 30 days of fitness motivational mantras, Steve’s workout program and a few of Steve’s favorite recipes. 80% of your success depends on this education. It’s a small investment for a BIG reward! BEFORE YOUR PURCHASE: Turn off your pop-up blocker. You will be redirected to the materials upon checkout. We will email you within 24 hours with a copy of the link in the event your computer blocks the redirect. Email us using our CONTACT form if you require any additional service. THANK YOU! Meet one of our online success stories. Jennifer Venn read our workbook and did our online Boot Camp and lost 70lbs alone in her basement. If she can do it, anyone can! CLICK HERE to read her story. This is great program! Thanks for posting. I workout most days so I tend to focus on alternating arm and leg days. Are your workouts full-body workouts or do they focus on lower body for one workout and upper body for another workout? Thank you! Hi, I’ve emailed a couple of times but have not received a response. 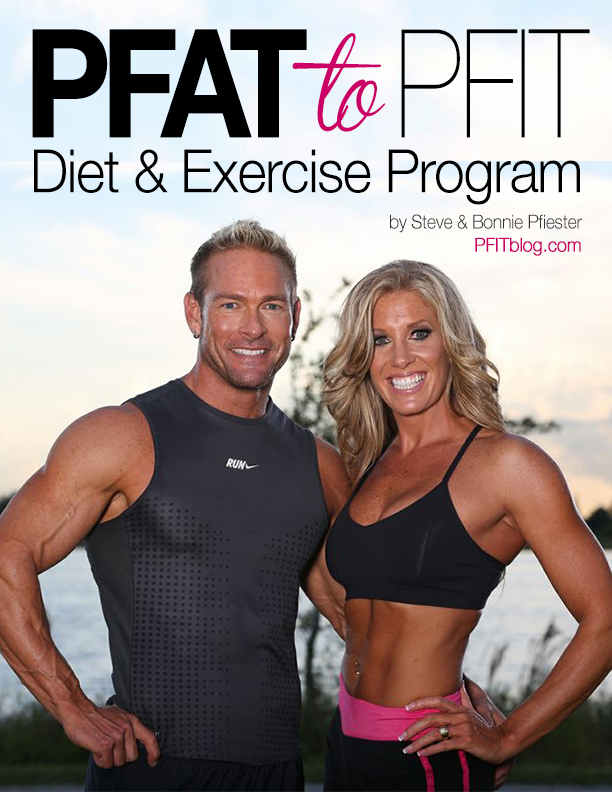 I purchased the phat to pfit ebook. I’m a little confused. If you choose the no gym required you repeat the same 3 workouts for 60 days (MWF)?? Also, for the gym required can you give suggestions to substitue the leg extension, leg curl and leg press? I have a home gym but do not have access to these 3 items. I am interested in your program..what is the difference between the online program and the pfit to pfat program before I purchase either one. I understand the handbook is the same for both? .. loved the fit to fat episode..so inspiring. How to incorporate when a person works the graveyard shift..any suggestions? I have a question about the track your weight sheet. Diet grade what do they represent? A=?, C=? and F=? I started a work out routine yesterday and am following your handbook. I just want to say thanks as I feel inspired to do my very best to make this stick. Calorie counting so much fun! What page and sheet is that on? I just want to make sure we are talking about the same thing but I’m pretty sure you are talking about the grade you give yourself to honestly track how you feel you are really doing – so you can, at a glance, see how your efforts have matched your results. Sometimes I think we aren’t honest with ourselves. When we flunk a week, we need to be able to own it and give ourself an “F”. AND, if we think we did great and gave ourself an “A” but our results didn’t match, we know we need to “retest” ourself and make sure we didn’t miss something. Hope that helps!! Keep up the hard work! It WILL pay off!! Hi! I ordered the program on Monday and haven’t received anything yet. An you please let me know. Thanks. Hi!!! I am curious about this program. I am hypothyroid and it takes me forever to drop a pound or two. I’ve starved myself, tried meal replacement shakes, every diet I can think of. I workout 6 days at the gym. Can’t get rid of the last 40 pounds. This show gave me a glimmer of hope. This program which we can purchase–is it short term, then we have to buy more? Just wondering how this works. I am desperate. Steve has worked with hyperthyroid patients in the past. The biggest obstacle is feeling fatigue faster which makes you want to slow down throughout the day. You’ll have to fight that and stay active. If you get the program, the first thing you need to do is read the workbook and REALLY study it. That will be your biggest tool for success. The program is designed to give you one month of workouts and the seven-day diet that you can implement and play with to use as a model. But, the foundation (meaning the workbook) is the key to everything. If you use the loseit app and apply the info in the workbook, you can get rid of those last few pounds!! Loved the episode with Steve and Tasha. He’s a good guy! I will be ordering the ohut program. Kind of funny that when Steve gaind the weight to 230lbs he and I had the same body physique. And Steve turned it around like a beast. Which inspired me to try and make the change. I’lm looking forward to the meal planning and workout plan. Take care you 2!! I recently watched the episode of fit to fat to fit, I actually felt pretty inspired. I totally understand how Tasha felt with the start of not putting her children first. One of my challenges are the enablers that put out the negative words & vibes, which I have to distant myself from. Thanks again. Can this program also be sent via the mail system? Does this program also include resistant band and cargo strap type works? I do have a dvd player, just not one on my computer. No, I don’t have a smart phone. Yes, I actually send an email with all the links to all the information after you get the program. We will be doing matching videos as soon as we can to match the written content, which will be able to access online. One of the workouts is all bodyweight, one is made for the gym and the one in the workbook is primarily bodyweight and you could use bands and set of dumbbells for the arm work. when I said mail, I actually meant, postal, like my post office box. online email can work also. just having issues with windows 8.1, teaching this old fart a new system is challenging. I like your concept, and Yes, 24.95 is a great price. Drew Manning missed the boat, when he did his challenge. he posted a lot of the stuff online at youtube, then he wrote the book. Yes, getting on the Tonight show(s) helped promote his efforts. Just wanted to see dvd packages, similar to Beachbody products, but for some reason, he just couldn’t grasp how important and profitable, that avenue was. Having everything, in a simple format, both in the written form with diagrams showing each move, and in a dvd, packaged simple, to cut down on cost, makes it more appealing and profitable, and no matter what you want to believe, making a living, Money, is the bottom line. Nothing is totally free in life, everything has and needs a price. As we already know, Steve didn’t do the TV show for free. One of the hardest concepts of being a Christian, is understanding, that nothing is free, just because others think it should be. You and Steve have it going on, and are on the road to making it , just right for everyone.